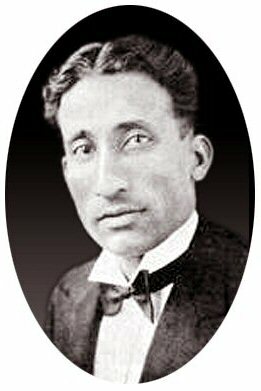 Malik Mir Sultan Khan (1905 – April 25, 1966) was the strongest chess master of his time from Asia. A manservant from British India, he traveled with Colonel Nawab Sir Umar Hayat Khan (“Sir Umar”), his master, to Britain, where he took the chess world by storm. In an international chess career of less than five years (1929–33), he won the British Championship three times in four tries (1929, 1932, 1933), and had tournament and match results that placed him among the top ten players in the world. Sir Umar then brought him back to his homeland, where he gave up chess and returned to his humble life. David Hooper and Kenneth Whyld call him “perhaps the greatest natural player of modern times”. Although he was one of the world’s top players in the early 1930s, FIDE, the World Chess Federation, never awarded him any title (Grandmaster or International Master). Sultan Khan was born in United Punjab, British India, where he learned Indian chess from his father at the age of nine. Under therules of that game at the time, the laws of pawn promotion and stalemate were different, and a pawn could not move two squares on the first move. By the time he was 21 he was considered the strongest player in the Punjab. At that time, Sir Umar took him into his household with the idea of teaching him the European version of the game and introducing him to European master chess. In 1928, he won the all-India championship, scoring eight wins, one draw, and no losses. In the spring of 1929, Sir Umar took him to London, where a training tournament was organized for his benefit. Due to his inexperience and lack of theoretical knowledge, he did poorly, tying for last place with H. G. Conde, behind William Winter and Frederick Yates. After the tournament, Winter and Yates trained with him to help prepare him for theBritish Chess Championship to be held that summer. To everyone’s surprise, he won. Soon afterward, he went back to India with Sir Umar. Returning to Europe in May 1930, Sultan Khan began an international chess career that included the defeats of many of the world’s leading players. His best results were second to Savielly Tartakower at Liège 1930; third at Hastings 1930-31 (scoring five wins, two draws, and two losses) behind future World Champion Max Euwe and former World Champion José Raúl Capablanca; fourth at Hastings 1931-32; fourth at Bern 1932 (ten wins, two draws, three losses); and a tie for third with Isaac Kashdan at London 1932, behind World Champion Alexander Alekhine and Salo Flohr. Sultan Khan again won the British Championship in 1932 and 1933. In matches he defeated Tartakower in 1931 (four wins, five draws, and three losses) and narrowly lost to Flohr in 1932 (one win, three draws, and two losses). Sultan Khan thrice played first board for England at Chess Olympiads. At Hamburg 1930, there was still no rule that teams must put their best player on the top board, and some teams, unconvinced of his strength, matched their second or even third-best player against him. He scored nine wins, four draws, and four losses (64.7%). At Prague 1931, he faced a much stronger field. He had an outstanding result, scoring eight wins, seven draws, and two losses (67.6%). This included wins against Flohr and Akiba Rubinstein, and draws with Alekhine, Kashdan, Ernst Grünfeld, Gideon Ståhlberg, and Efim Bogolyubov. At Folkestone 1933, he had his worst result, an even score, winning four games, drawing six, and losing four. Once again, his opponents included the world’s best players, such as Alekhine, Flohr, Kashdan, Tartakower, Grünfeld, Ståhlberg, and Lajos Steiner. The story of the Indian Sultan Khan turned out to be a most unusual one. The “Sultan” was not the term of status that we supposed it to be; it was merely a first name. In fact, Sultan Khan was actually a kind of serf on the estate of a maharajah when his chess genius was discovered. He spoke English poorly, and kept score in Hindustani. It was said that he could not even read the European notations. After the tournament the American team was invited to the home of Sultan Khan’s master in London. When we were ushered in we were greeted by the maharajah with the remark, “It is an honor for you to be here; ordinarily I converse only with my greyhounds.” Although he was a Mohammedan, the maharajah had been granted special permission to drink intoxicating beverages, and he made liberal use of this dispensation. He presented us with a four-page printed biography telling of his life and exploits; so far as we could see his greatest achievement was to have been born a maharajah. In the meantime Sultan Khan, who was our real entrée to his presence, was treated as a servant by the maharajah (which in fact he was according to Indian law), and we found ourselves in the peculiar position of being waited on at table by a chess grand master. In his brief but meteoric career, Sultan Khan rose to the top of the chess world, playing on even terms with the world’s best players. By Arpad Elo’s calculation, his playing strength during his five-year peak was equivalent to an Elo rating of 2530. Another assessment system, Chessmetrics, ranked him as high as sixth in the world in May 1933, behind only Alekhine, Kashdan, Flohr, Capablanca, and Euwe. In 1950, when FIDE first awarded the titles of International Grandmaster and International Master, Sultan Khan had not played for 15 years. Although FIDE awarded titles to some long-retired players who had distinguished careers earlier in their lives, such as Rubinstein and Carlos Torre, it never awarded any title to Sultan Khan. When Sultan Khan first travelled to Europe his English was so rudimentary that he needed an interpreter. Unable to read or write, he never studied any books on the game, and he was put into the hands of trainers who were also his rivals in play. He never mastered openings which, by nature empirical, cannot be learned by the application of common sense alone. Under these adverse circumstances, and having known international chess for a mere seven years, only half of which was spent in Europe, Sultan Khan nevertheless had few peers in the middlegame, was among the world’s best two or three endgame players, and one of the world’s best ten players. This achievement brought admiration from Capablanca who called him a genius, an accolade he rarely bestowed.